Without you, my dear readers, I would not get the opportunities that I have been blessed with, these past four years. So as a thank you, I will be doing a GC giveaway from a restaurant that I'm sure you'll love.. Yomenya Goemon! Though the actual anniversary is still on June 28, I'm doing this ahead because I'm leaving for the United States this week.. And I don't know how much I'll be able to blog.. So there is a chance that I will be on hiatus for the next month. I'm working now to try to finish as many posts as I can, so that I have enough material to spread out throughout June. Nonetheless, let's get back to business. 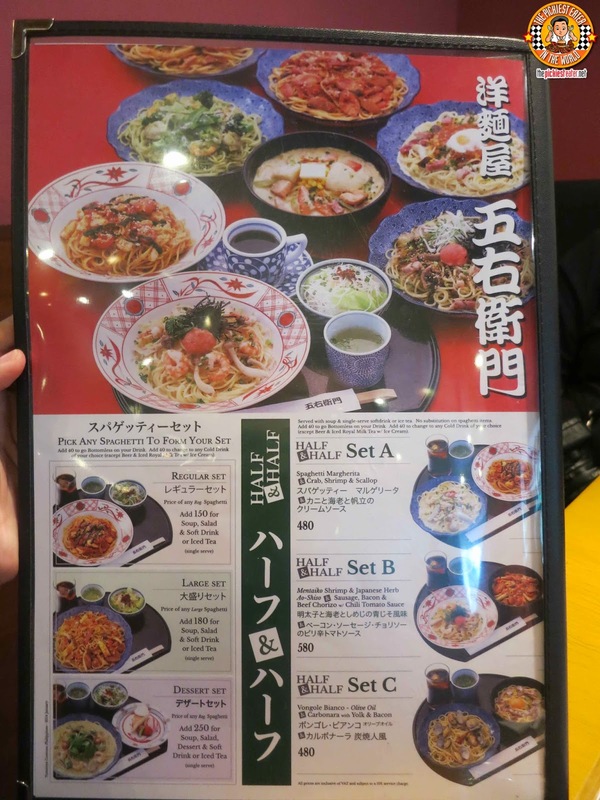 Here are some of the delicious dishes you can get from Yomenya Goemon! Kindly send me an email or a private message so I may discuss with you on how to claim your prize. Again, CONGRATULATIONS! Oh em gee! I love Yomenya Goemon! I've been thinking about going back there because I loved their seafood pasta and their margherita pizza. I'm so gonna join! I pray that I'd win this time! iwant to try all of their pasta and pizza!!! oh im craving!!!! If it's possible I want to see reviews on some unknown restaurants especially when you are traveling in far flung places. 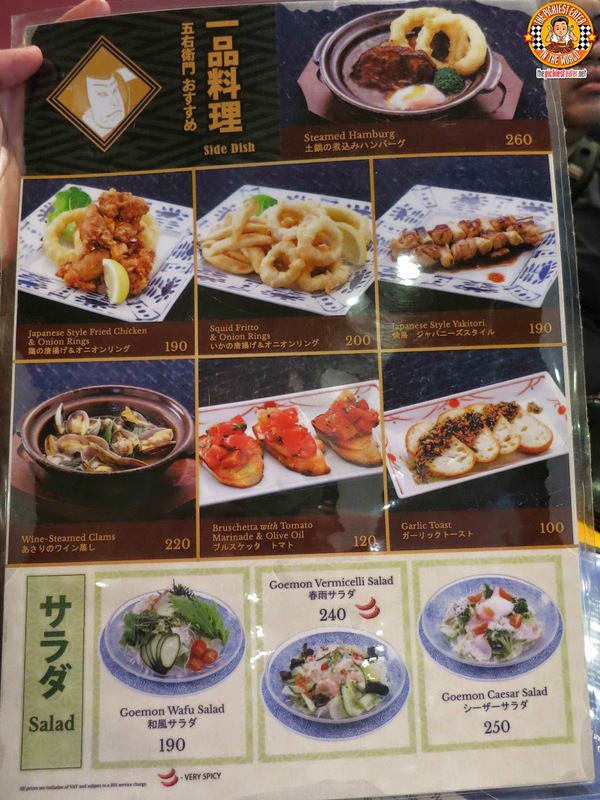 On Yomenya Goemon, I'd like to try the carbonara with yolk and bacon and the steamed hamburg. Oh yeah, advance happy anniversary! I know you love meat so I think you are the perfect person to write about vegetarian dishes in restaurants that even meat lovers would enjoy. The Carbonara with Yolk & Bacon looks really interesting so I would probably try that if I win the gc. Posts on Food Trucks! :D I also want to know if this kind of food venture is okay. Considering the different markets in different locations. I would love to try the All Meat Pizza or any of their pizzas! And the dish I was looking forward to is the steamed hamburg, i want to try because it look delicious, a burger with sabaw...awesome! More food trips! Happy 4th! More Japanese restaurants! Try to eat ox' brains from Persian cuisine. Have yet to try Japanese inspired spaghetti~ :( For someone who loves Japanese cuisine, it's a missing link. I want to try the Carbonara with Yolk and Bacon!!! I want to see more hole in the wall and undiscovered cheap eats in the metro. as a poor student, that is a big help for me. On Yomenya Goemon, I'd like to try the steamed hamburg. 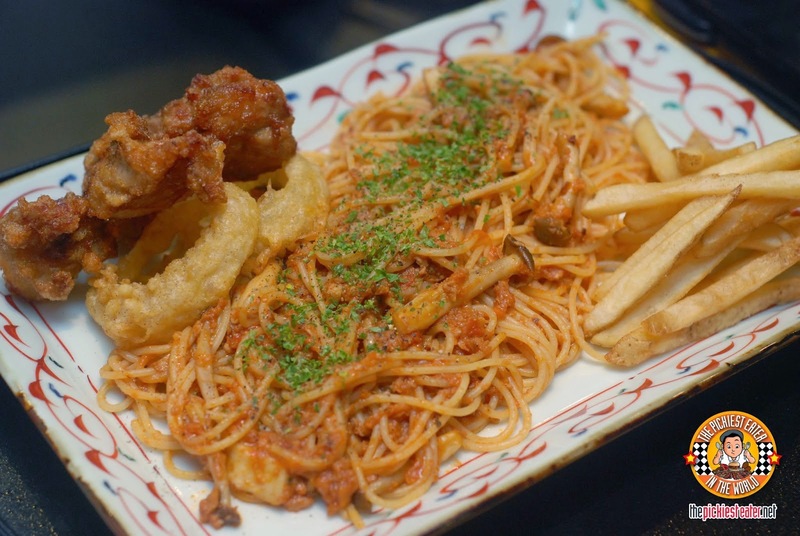 Im looking forward to trying Japanese Style Fried Chicken & Meat sauce Spaghetti from Yomenya Goemon. Spaghetti lover here! Advance happy 4th anniversary! Yey! Cheaper places to eat please! Also, it would be better that names and email addresses are hidden (or maybe part of the comment form instead) as almost all Philippines blogs with giveaways like these are gold mines for data miners. The Steamed Hamburg and the Prosciutto and Arugula Pizza both look good!! I like to try carbonara with yolk and bacon and the steamed hamburg. 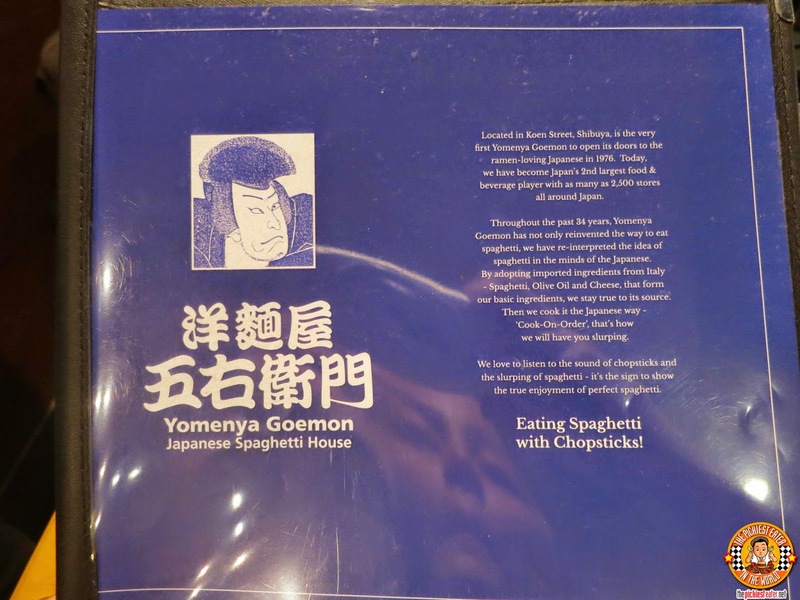 And what dish are you looking forward to trying from Yomenya Goemon? 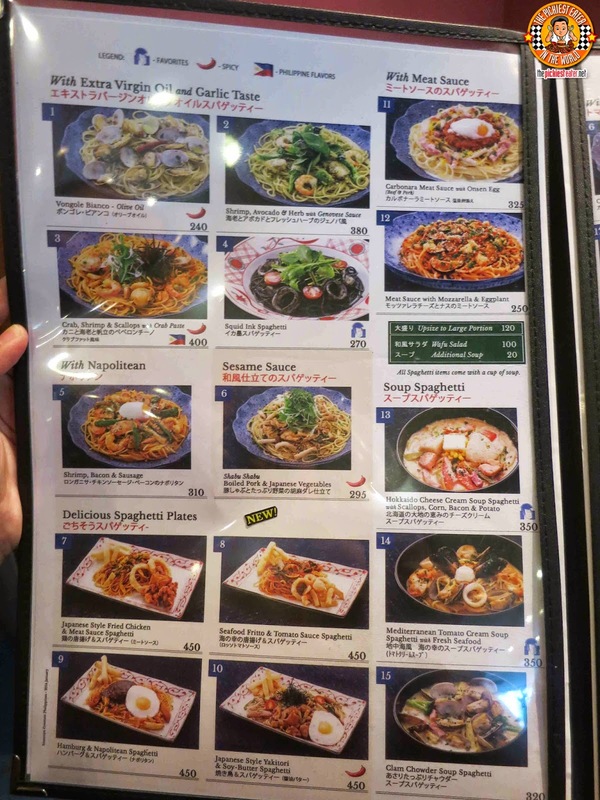 Eventhough I cannot pronounce and completely remember the name of this resto (can remember just Goemon), my officemates already know it when I say Japanese pasta! This is where we usually have friday lunch outs. 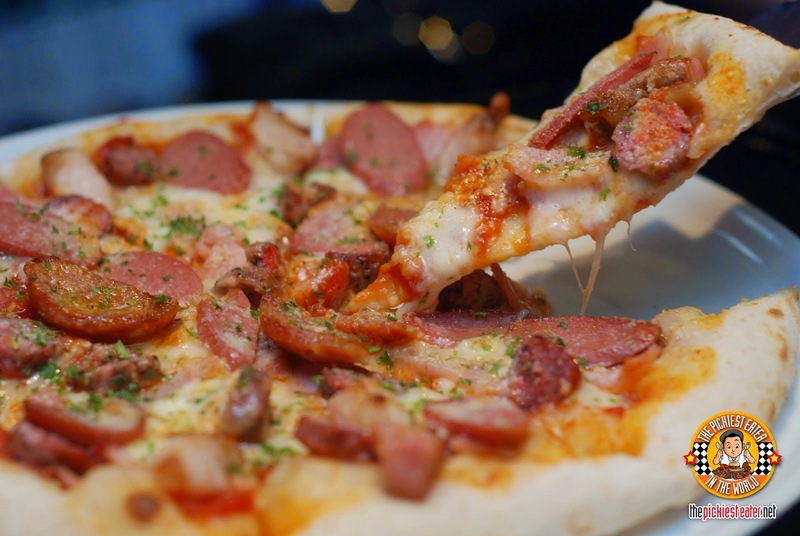 We all love their carbonara with yolk and bacon and pizza! I would also like to see more reviews from banchetto food stalls as these are becoming a hit. It would be fun if you do a review on Pres O'Tea Beverage Lounge! It is more than a milk tea lounge as they serve different food choices too! They are located at Mendiola and Congressional Avenue! Hi! I would like you to post blogs regarding a must try budget friendly or affordable restos. if ever i win this giveaway, this will be my first time to try Yomenya Goemon and i will try all their best seller foods. carbonara with yolk and bacon and the steamed hamburg. This is awesome! I hope I win! And I really wanted to try the pizza!! Coz Im a pizza addict! haha! Happy 4th blogverssary, Godbless you and your family!! More powers! I know pickiest eater loves fried food how about some healthy food, we all have to take care of our body. I love to try their different pasta creation. The Carbonara with yolk & Bacon looks really yum! A must try. Please blog restos for bugdet friendly students. I am looking forward to try carbonara with yolk and bacon. 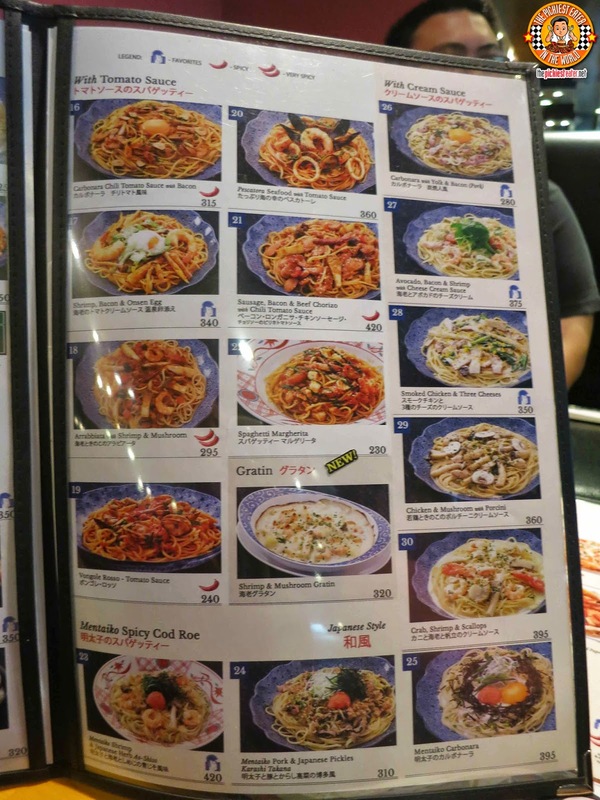 I would love to see Italian Resto feature in your blog and I would love to try the Japanese Style Yakitori & Soy-Butter Spaghetti and the All Meat Pizza from Yomenya Goemon if given the chance to win the GC will definitely dine in with my family. I'd like to see you post more French cuisine finds and reviews. I would love to try the Steamed Hamburg! I like to try pizza. Affordable meals, Home made goodies or treats. I'm looking forward to trying the Shrimp and Mushroom Gratin. More reviews of eat all u can restaurants. Wanted to try their Pizza. 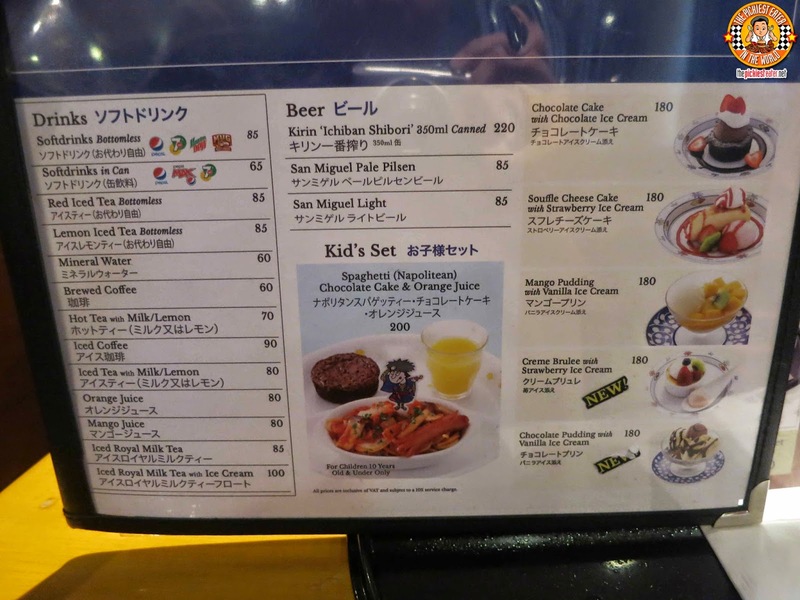 if it's possible, a child-friendly resto !!! Want to try all the pizza !!! more reviews about child friendly resto's, hotels and eat-all-you can restaurants! 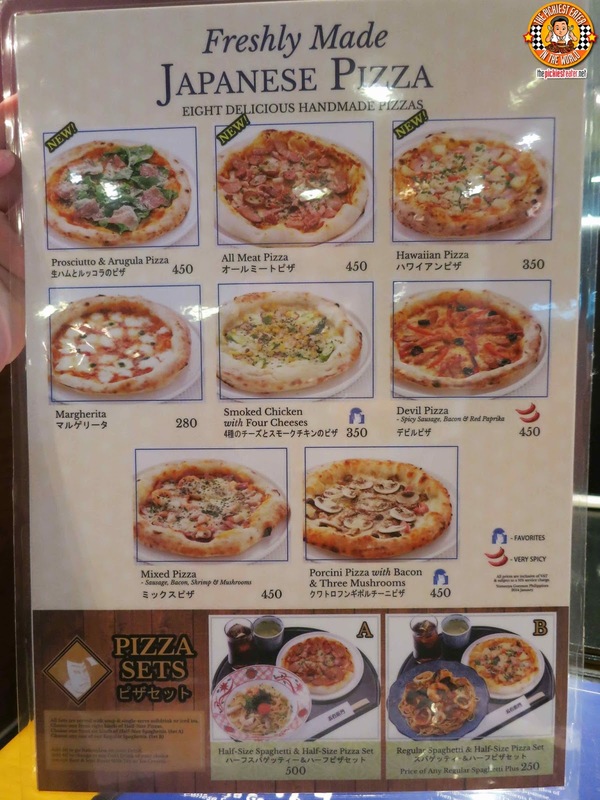 The first thing I would probably try here are the Japanese pizzas, most especially the Porcini Pizza with Bacon and Three mushrooms, which really looked very tasty and good from the picture and the name. I am such a huge fan of Yomenya Goemon. My goal is to try every single dish of theirs. If I win this GC, the next dish I'd LOVE to try is the Hokkaido Cheese Cream Soup Spaghetti with Scallop, Corn, Bacon and Potato. I think it's going to be comfort in a cup - with cheese and bacon in the mix, what could possibly go wrong? Regarding this blog, I would like you guys to feature where to buy the best Filipino Foods such as empanadas, taho and turon. I'm excited to try the Steam Hamburg! Wish to win this time! For your blog, i think i would want to see next are, for example, your top 10 choice of restaurants/food given a certain subject (e.g., japanese, comfort food, buffet, korean, weirdest resto, cultural resto, etc).. or what are your [highly] recommended food spots / buffet restaurants that are budget-friendly and have good value for money. I'd like to see you blog more about the food joints hidden around the metro with outstanding offerings. I'm looking forward to trying their Steamed Hamburg. I want to try the Mediterranean Tomato Cream Soup Spaghetti with Fresh Seafood!! It looks really delicious!! 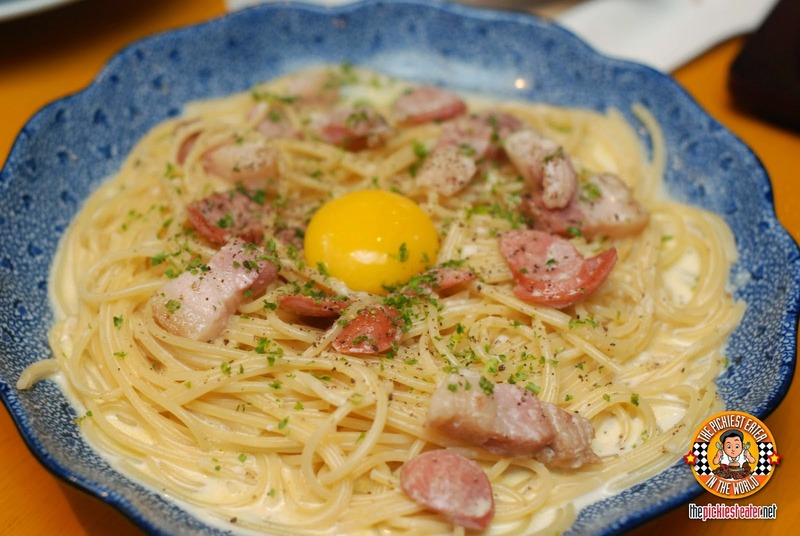 i want to try Yomenya Goemon's Carbonara with Yolk & Bacon to add to my own recipe of carbonara. Hoping you could review resto that is near bulacan please. I would love try the Mediterranean Tomato Cream Soup Spaghetti with Fresh Seafood!! yummy. hoping to see resto's from the nearby provinces. I want to try try the devil pizza. More buffet/eat-all-you can afffordable and budget friendly resto's. Different restaurants in SM Mega Fashion Hall. I would like to try their pizza and pastas! I'd like to see more posts about your recommended eating places for people on a budget. I want to try YOMENYA GOEMON's Steamed Hamburg. 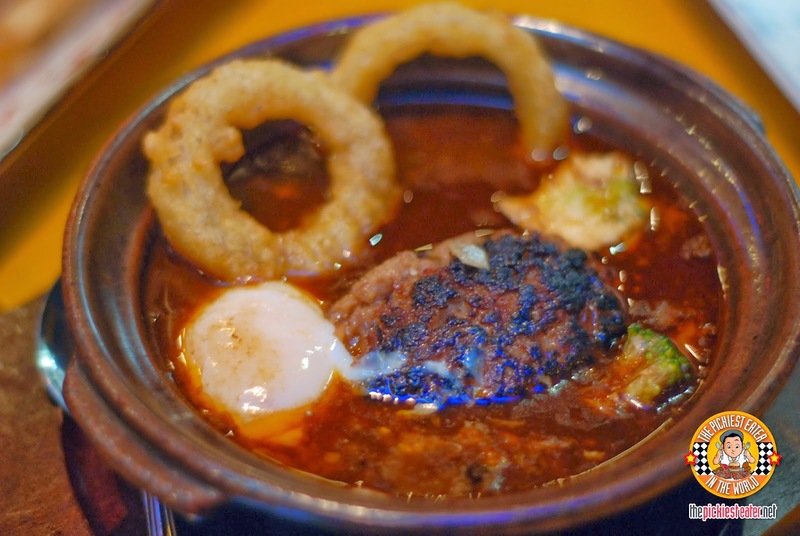 Would love to see Eat All You Can Resto posts and would love to try all YOMENYA GOEMON dishes! It would you like to see more of budget friendly eat-all-you can resaturants on your blog. 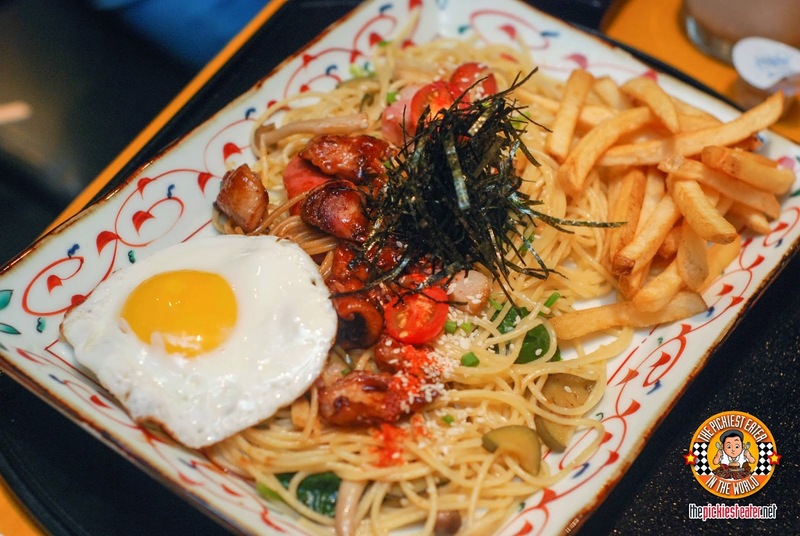 I'm looking forward to try the Carbonara with Yolk & Bacon from Yomenya Goemon.